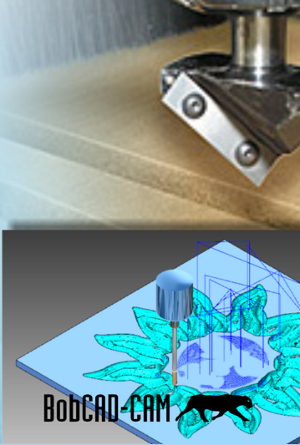 This is a totally integrated solution and recommended if you need CAD and CAM capabilities! 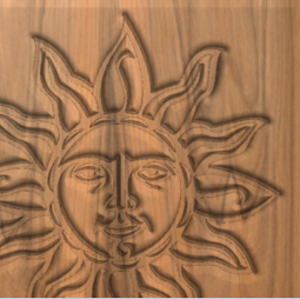 The Process to get an actual physical part created on a CNC machine is designing, providing machining operations to the design, then putting that into the control program of the CNC machine so the machine can cut or fabricate the part. 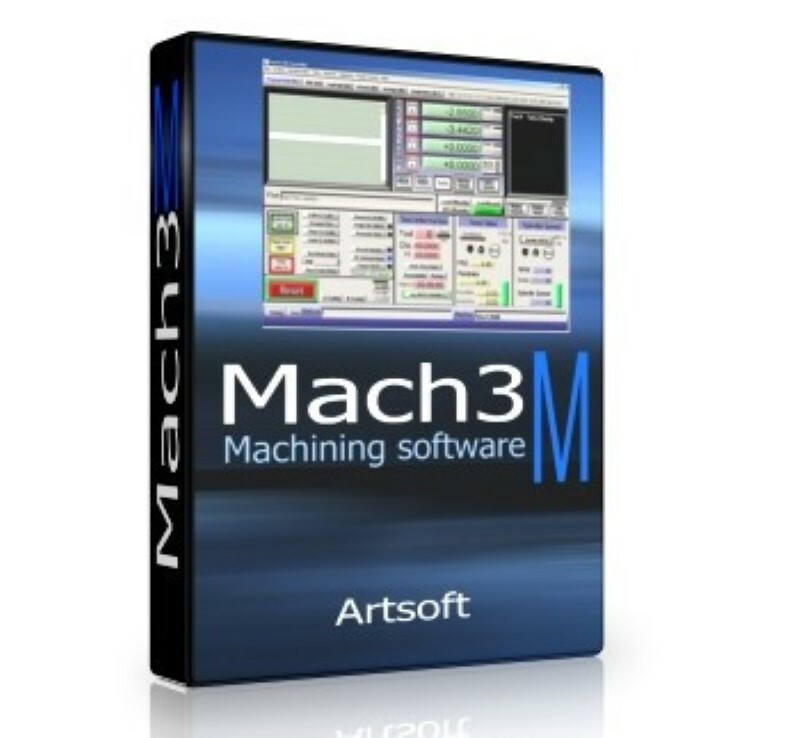 This software takes care of the first two: the design and applying the machining operations. CAD software is generally in the thousands, and CAM requires additional dollars, so why not just get an integrated solution like BobCAD! If you are still reading this, then you probably don't have CAD (computer Aided Design), or still don't know what I'm talking about and you should really consider this software. CAD is the method that you will use to create the part that will finally be fabricated on the CNC machine, but in CAD form, there are only lines, points, circles, arcs and polygons. The CNC machine does not know what to do with these primitives, because the CNC machines cuts (profiles), drills and pockets material (subtractive fabrication). These actions are called machining operations and must be applied to the primitives so the CNC will know what to do with the primitives created in CAD. This process is called CAM (Computer Aided Manufacturing). BobCAD can enable you with both CAD and CAM and I would urge you to consider this type of program if you are starting fresh. The BobCAD suite of software has an impressive feature set. If you can imagine a feature that you need, BobCAD will be able to do it. BobCAD CAM V25 has an easy to use and understand CAD interface that will allow you to design your parts from beginning to end quickly. V25 will allow you to import DXF, IGES, STEP, SLDPRT and many other files from external CAD systems. You can verify geometry and edit your drawings on the fly by using a wide range of simple CAD features. Toolboxes have been added to make access to frequently used CAD functions easy and fast. Whether you import the CAD file or draw it in BobCAD, you have the ability to create inspection reports and part prints will full dimensions. Basic drawing tools include working with splines, creating arcs through points, drawing points, lines, arcs, bolt patters, gears, sprockets and roller cams to name a few. BobCAD offers a complete wire frame surface and solid model designing package. Viewing your parts, rotating 3D geometry and verifying all your part data has been made easy all the way down to bring able to choose the drawing colors or screen background of your choice. BobCAD CAM is being used in a wide variety of shops for a wide variety of applications. This is due to the versatility of the program, customizable post processors, multiple cutting options and it's ability to create fast accurate toolpaths and CNC code. 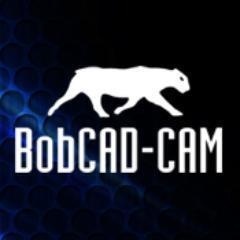 Whether you're doing 2D work or creating complex 3D parts programs, BobCAD CAM allows you to generate accurate toolpath faster, smarter and easier for less money. Part 1 of 2: Here is an example of the BobART Pro software. The video demonstrates embossing and using the emboss to rail sweeps. 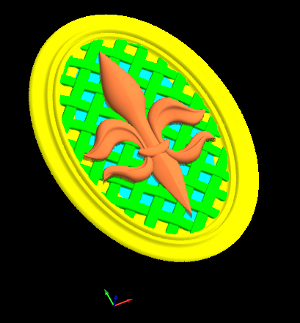 The videos also shows how to take the embossing that was created and develop a component STL from it to apply to other operations. This can be seen in the next video. Here is an additional video that actually show a sample of the the work done in the first two parts. The video shows the steps involved to take the embossed model created in the first two videos and actually get that ready for machining.